We specialize in system design, estimation, installation, and service of commercial and residential HVAC systems as well as custom sheet metal fabrication. Conveniently located between Eau Claire and Chippewa Falls, we offer a full spectrum of heating and air conditioning services in both Residential and Commercial applications. It is our goal to be the first choice HVAC contractor in the Chippewa Valley, providing the highest quality products and service available. Our experienced staff and high standard of craftsmanship ensure delivery of successful projects time and again. Whatever the size and complexity of your next project, Hovland's can help! Hovland's has been providing quality LENNOX heating and cooling systems throughout Eau Claire, Chippewa Falls and west-central Wisconsin since 1944. Rely on the experienced professionals at Hovland's to help you with your next home comfort system. 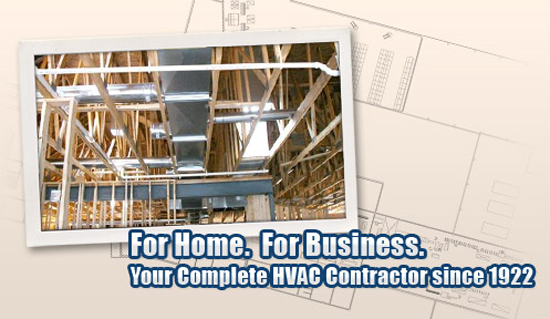 Specializing in system design, estimation, installation, and service of commercial HVAC systems, Hovland's has years of experience working in public facilties, retail establishments, restaurants, churches, clinics, and more. Regularly scheduled HVAC maintenance service is beneficial to your equipment's life expectancy and efficiency. In addition to maintaining your systems, Hovland's provides 24-hour emergency service year round.